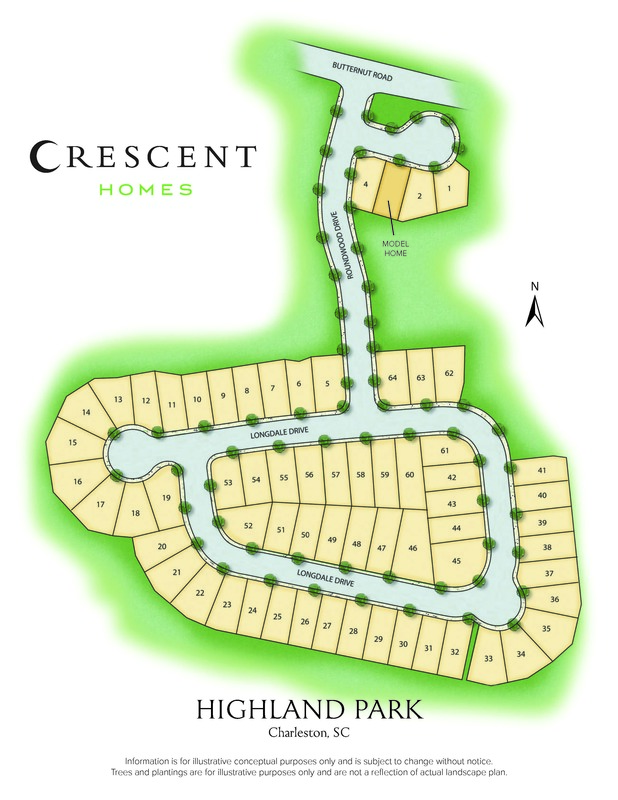 Highland Park is a quaint neighborhood that embodies the southern charm of the lowcountry. Located just minutes away from historic Summerville, within the award winning Dorchester II school district. Just a few miles away, you’ll find fine dining, shopping and year-round community events, including Summerville’s annual Flowertown Festival. Sullivan / Palmetto Series / 2,185 Sq. Ft.
Ashbury / Palmetto Series / 1,933 Sq. Ft.
Finley / Heritage I Series / 2,217 Sq. Ft.
Hadley / Heritage I Series / 1,906 Sq. Ft.
Summerville is known as the Flower Town in the Pines thanks to an abundance of trees and beautiful blooming azaleas. Historic downtown Summerville is made up of tree-lined streets and charming shops and restaurants. You will also find Summerville offers all of the conveniences of life, including excellent schools, and is just a short drive to downtown Charleston and area beaches.